Every February, over 700 Christian educators from around the country gather for the Association of Presbyterian Church Educators (APCE) Annual Event. We share stories, hear wonderful speakers and musicians, worship together, and participate in educational workshops. Several of our Moravian and ecumenical educators attend to get ideas and inspiration for the year. The videos and information below feature members of our Ecumenical Educator Group sharing their learnings from this year’s APCE event. APCE 2020 will be January 29th – February 1st in Little Rock, Arkansas. The theme is Discipleship through Retreat, Mission, and Justice Ministries. If you are a pastor, educator, or lay leader interested in attending APCE 2020, contact Beth Hayes ([email protected]) for more information. Description: Are you wrestling with how to introduce intergenerational formation into the life of your congregation? This workshop explores how new ideas and shifts in thinking might more faithfully be cultivated in our churches and integrated into our denominational structures. Presbyterian Mission Agency staff share the nuts and bolts of cultivating intergenerational formation in faith communities. Description: Many of us take vows at the time of baptism to support and nurture the infant undergoing this sacrament but have little notion as to how to live this out. This workshop will explore how we can help those who are baptized from infancy to confirmation to support families in this faith journey. Description: Generosity exists in all of us. However, to truly impact our mission and ministries, it must be nurtured and encouraged. We explore the best ways that you can nurture your streams of generosity by exploring and utilizing your stories, celebrating generations, revisiting policies and procedures, and much more. Description: Words of a story can definitely help to quench our thirst for learning more about God!! We adventure through many types of stories where God’s Word is very present through simple everyday literature. 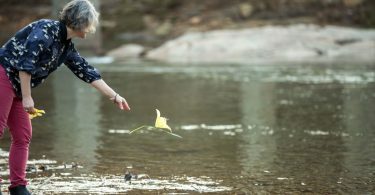 There will also be hands-on opportunities to help connect those words with tangible objects children and adults can take with them as reminders. Description: Why and how should you transition from a children’s ministry focus to a family ministry focus? Whether you want to have greater impact with the kids in your church or you want to reach more families, changing your mindset and your ministry to focus on partnering with families is crucial. Today, more than ever, churches are called to partner with families in nurturing our children in faith. Description: If the tide is out, each participant will create a seven circuit labyrinth on the beach. If the tide is in, we will demonstrate how to create a labyrinth useful on retreats, youth events, or church picnics. Then we will walk the labyrinth and process the experience. Description: This workshop offers a framework for implementing a hands-on, engaging, and fun mission oriented VBS experience for the tweens in your church and community. Learn what motivated the staff and volunteers to develop this program and leave with a blueprint for creating one at your church. fullness by sanctifying the times and events of our lives, then what are the “occasional services,” rituals, and prayers of aging? What are the rituals and prayers for moving and downsizing? What are the occasional services and prayers needed for the life transitions of older adults? How do we pray with and for one another in these days? Description: This workshop nurtures delight, facilitates healing, and inspires prayer in people of all ages and from all walks of life through creative spiritual practices. Learn (or practice) Zentangle®, the meditative art form with a twist and experience God through art in community. 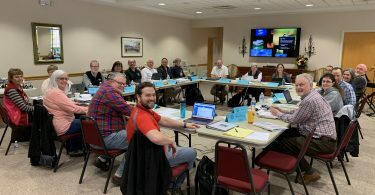 Beth’s commentary: In this half day workshop, we began looking at what is going on in faith formation in our congregations. Using an adaptive approach, we saw how culture and technological advances are influencing what we are doing with faith formation. A process for creating a new faith formation model was explained and we had a chance to experiment with beginning to use this model in light of our congregations. As we looked at all the data about culture, technology, and different generational changes, it all points to the fact that successful faith formation in the 2020s is pointing toward intergenerational involvement. We then had a chance to unpack what is meant by ‘intergenerational’ and how to begin implementing it in our churches. Description: In this interactive workshop, we explore the process of crafting stories that bring your powerful experiences of mission service alive. We practice writing techniques, create a draft of a mission story, and workshop other’s drafts. We also discuss how to adapt our written stories into compelling short talks and sermon illustrations. 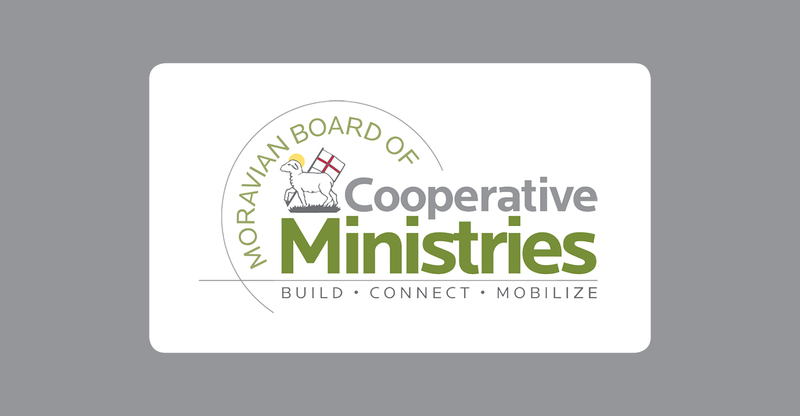 The goal of this workshop is to equip you to inspire others to join you in mission involvement. Description: How is faith formed in a sea of change? The writers of Genesis helped the original audience learn about God’s plan for them and for God’s world through stories of people and places. One story that remains relevant for us today is how we are faithful as we live with difference and diversity of language, culture and faith. Jamie’s commentary: In a general sense, this workshop was about we can better teach the bible to young children in ways that don’t require us to “unteach” later. For example, when you ask most people to say what they remember about Jonah they will immediately associate big fish or whale; thus missing the point of the story which is that God called a man and us to go and be amongst people who aren’t like us. The point of the story isn’t a big fish! The Tower of Babel story is the focus using a new book entitled God’s Big Plan. The workshop leader contends that generations have misread some type of punishment into this story that actually doesn’t exist. In fact, most of us remember this story as some type of retribution by God: God sees people trying to build a tower to heaven and decides to punish them by confusing their language and forcing them to move out. God’s Big Plan is an upcoming book that retells this story for children. There is no tower in the pictures. People are building a city. God sees this as an opportunity to take a monoculture and create it into a beautiful multi-cultural world. This is a departure from the way we have told this story to children for generations. The end result leaves us with the wonderful theme that God loves diversity and encourages us to live in ways that embrace multiculturalism.